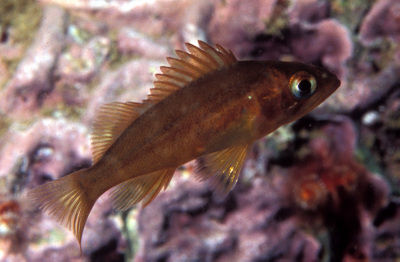 This juvenile kelp rockfish was hanging out at Goblin Wall, just West of Prisoner's Harbor on Santa Cruz Island. This is close to the Bight at Santa Cruz; conditions are usually pretty murky there. Somehow we hit a good day.